Before the establishment of Department of Botanical Research in 1893, simple tools were the only tools employed by farmers for cultivation in Nigeria. With these simple tools, households were able to adequately feed themselves and also provide surplus produce which were either used for trade by barter or as a gift. By 1893, our farming methods improved with a large focus on cash crops. We were able to witness significant improvement in farm output as a result of the use of improved seeds/seedlings, fertilizers and most importantly, the use of heavy farm machinery. The use of farm machinery affords farmers the ability to cultivate larger pieces of lands in little time and with lesser manpower.As expected, there was a boom in our farm output as we had so much to export.With the gradual adoption of mechanized farming in the cash crop sector, the nation was able to achieve so much from agriculture that it became our main source of revenue generation. The discovery of oil in commercial quantities significantly altered the Government’s willingness to continue providing the necessary mechanical support for the agricultural industry. To make matters worse, we also experienced high migration into the cities from residents who were hitherto subsistent farmers. In a bid to counter the rising insecurity of food caused by the above incidents, the Federal Government reinvested heavily in mechanical tools for Agricultural development programs like Operation Feed the Nation (1976), River Basin and Rural Development Authorities (1976) and Green Revolution Programme (1980) to counter this food insecurity.While these programmes showed green lights at first, the several flaws inherent in their modus operandi and the lacklustre attitude of the government made them crumbled eventually. The fall of these programmes coupled with the dying culture of subsistence farming contributed largely to the continuous increase in the volume of food items imported into the country. As a result, most farmers continued with crude tools which are obviously underproductive and incapable of meeting the local demand for agricultural produce. From the above, we could clearly see that the Nigerian farmers are unable to produce enough food not because there are no fertile lands or adequate manpower in the agricultural sector, (agriculture is still the highest employer of labour in Nigeria) but because farm machines are not readily available and at the desired quantity. 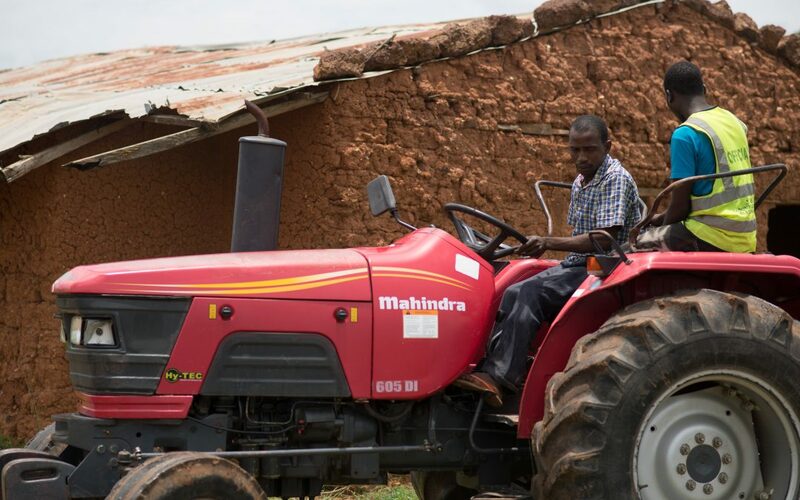 Considering the cost of purchasing this farm equipment, it might be unrealistic to suggest that every smallholder farmer (which are the majority) should own every of this equipment. However, not owning these machines should not be a deterring factor for not practising mechanized farming on your farmland.The opportunity to earn bountifully from practising agriculture is still wide open as long as you are willing to use these machines in the right way.